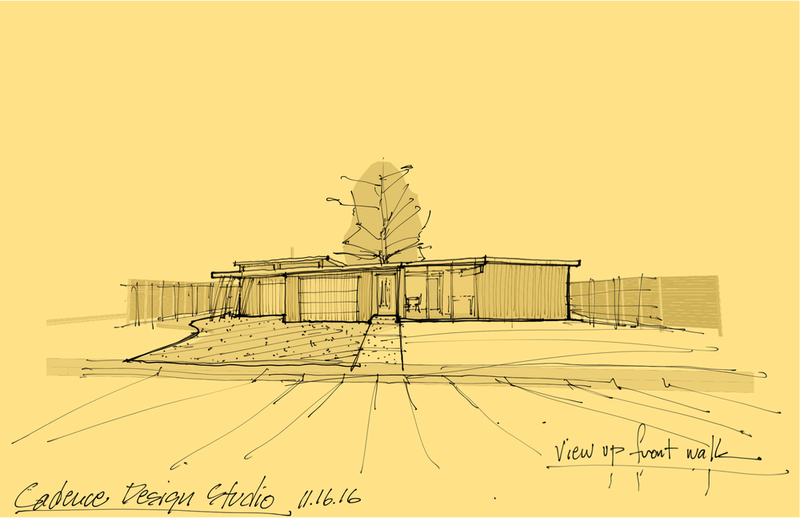 We are working on another neighborhood project in Denver! 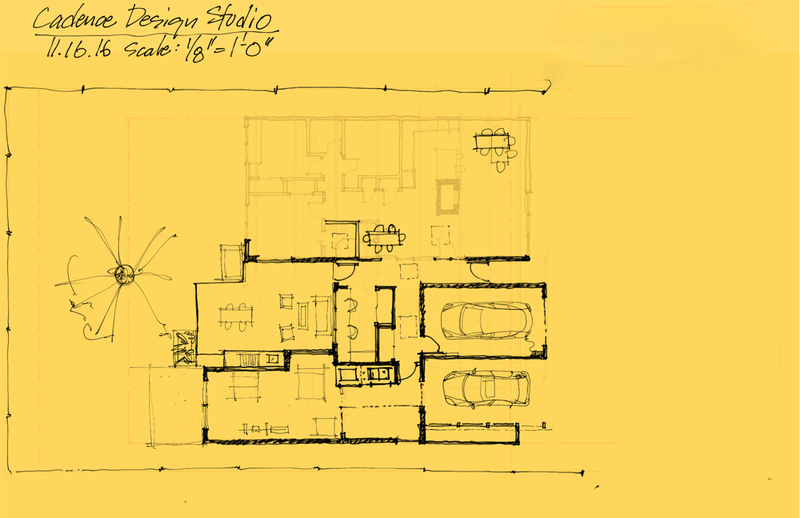 The project includes converting the carport into a garage, adding a second garage, adding a large work-out area with storage, and connecting the spaces to the existing house via a galley home office. 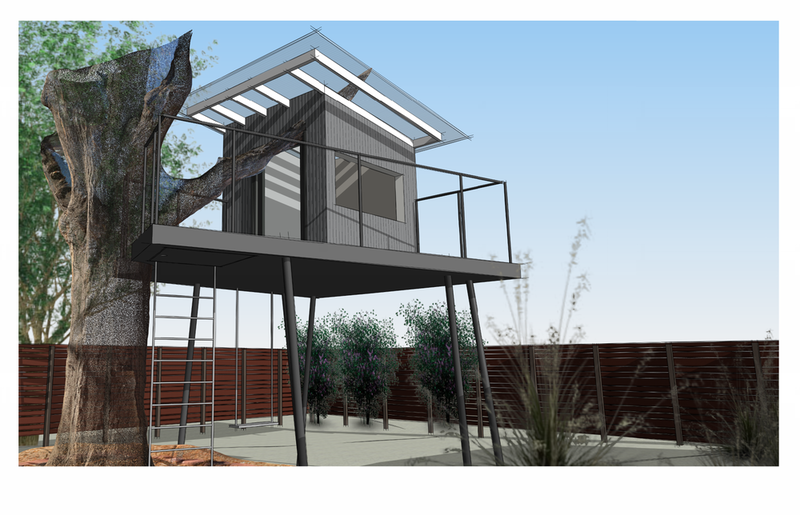 The addition wraps around a great protected rear courtyard which will contain an outdoor kitchen and open out to a large locust tree which will include a tree house. 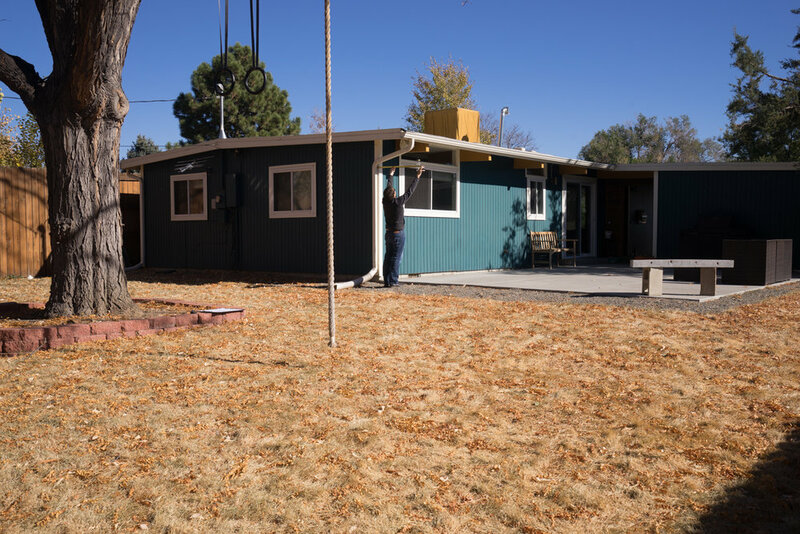 Although carports are one of the defining forms of the mid-century homes here in Colorado, an enclosed garage can be so much more useful during the winter months. Doing them right can make or break the curb appeal for smaller homes like this. 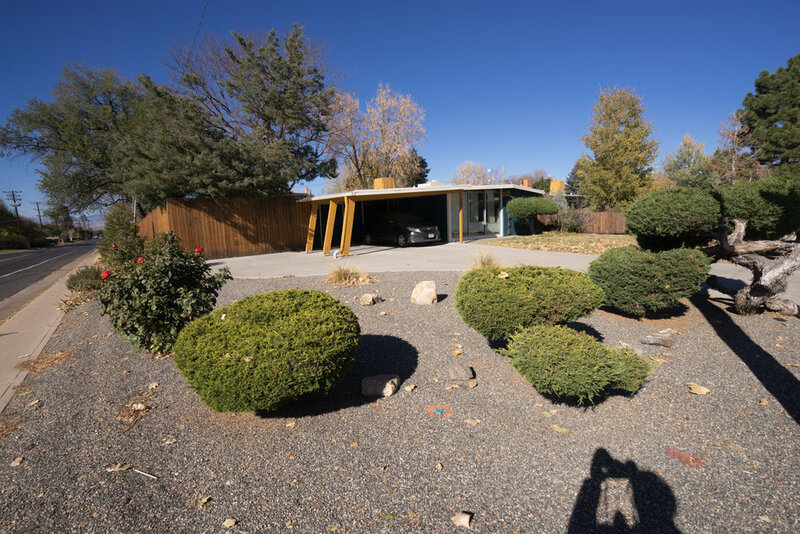 This mid-century modern, like many, only has a single carport. As cool as the carport is, these clients are looking to have a 2-car garage. 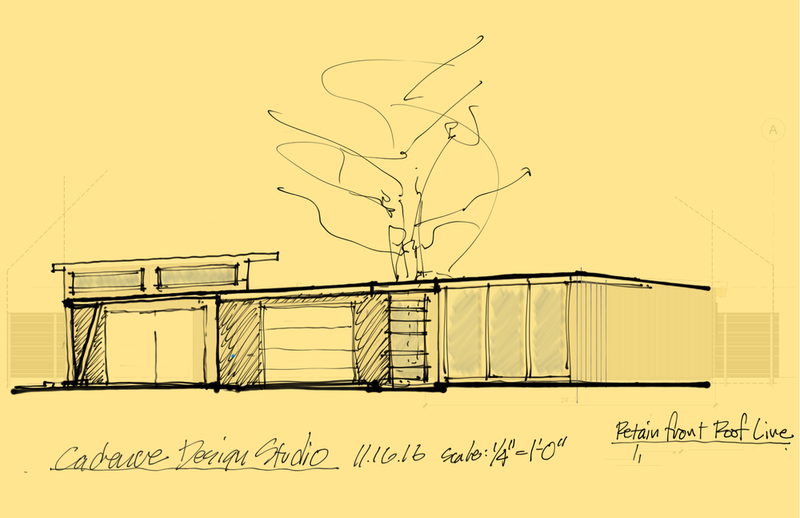 The idea is to create an addition that looks seamless and that doesn’t detract from the unique features of this mcm home. 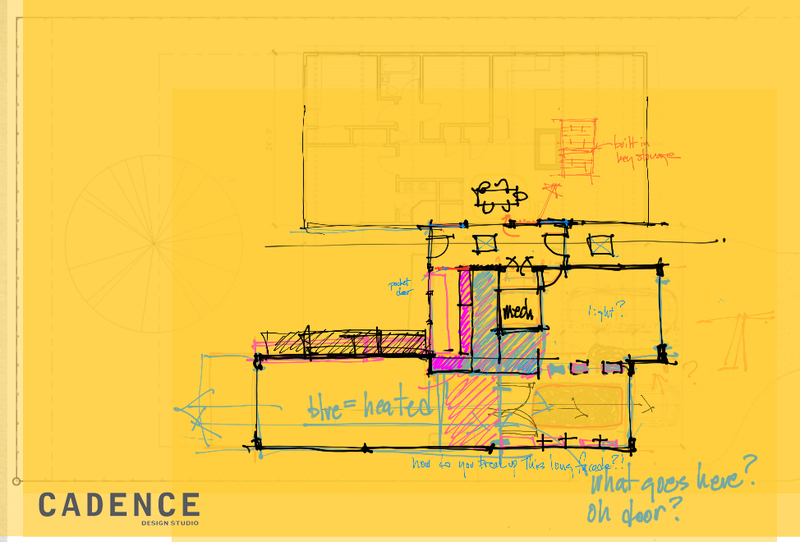 Zoning requirements do not allow us to encroach into the front setback, and require us to set the addition back beyond the façade of the main house. 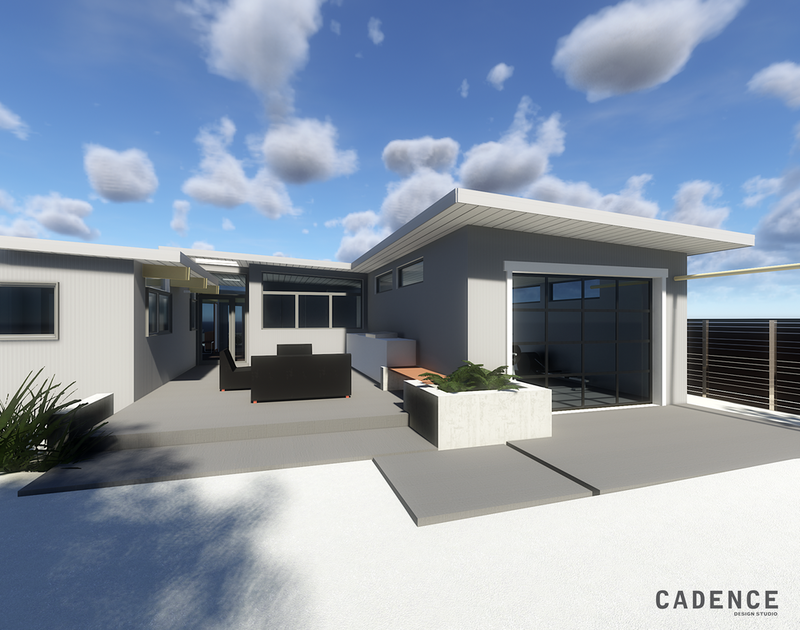 A way to reduce the visual impact that a large two car garage could present, we have designed two individual garages that are staggered back from the facade. 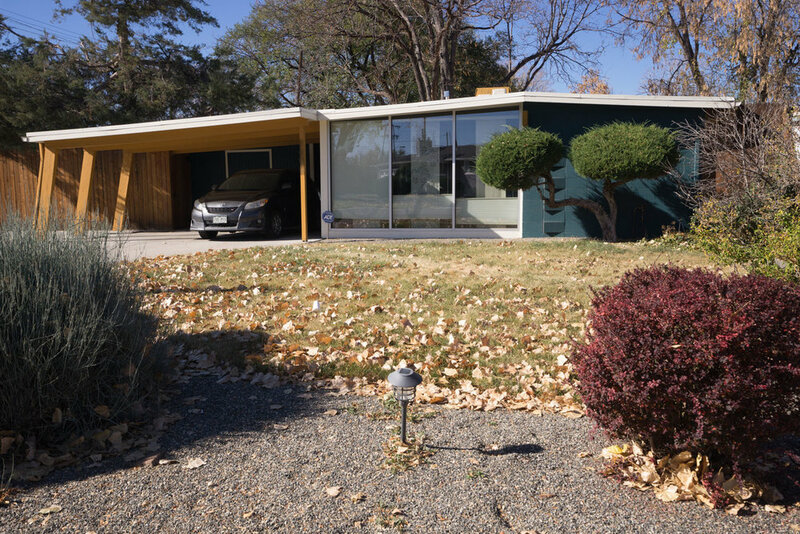 The low roof lines is a defining feature of these homes, however they can be challenging when it comes to headroom at the low ends of the roof slope. To solve this problem, we will step up the roof slightly but further back from the front. This visual trick will make the roof look continuous at the front, but gives us extra height in the new spaces beyond the garages.